Early Voting Has Begun…How Will You Vote on Issue 3? Local boards of election around Ohio began early voting on Tuesday, October 6, 2015. Voter turnout is expected to be low since there are no statewide candidates on the ballot and much of the focus recently has turned to the 2016 presidential election (which is an equally important decision, as you will read later in this article). That means a very small number of Ohioans may decide whether or not to legalize marijuana when they vote for or against Issue 3. But if Issue 3 fails this November, marijuana legalization is not going away anytime soon. National Acceptance of Marijuana is Growing. Literally. Going “green” doesn’t relate only to using renewable resources rather than fossil fuels to curb climate change. The phrase also extends to the growing acceptance of both medical and recreational marijuana in the United States that is becoming more commonplace. Is your workplace ready for legalized recreational and medical marijuana? Enforce a zero-tolerance drug use policy on or off the job? Terminate an employee who tests positive for marijuana, even if the employee is not impaired? Define impairment regardless of whether a definitive test is ever developed? Defend against challenges to zero-tolerance drug policies in recruiting, hiring and retaining employees? Terminate employees for cause due to a positive drug test without eligibility for unemployment compensation? Rely on the rebuttable presumption in workers’ compensation cases that a workplace injury was caused by an injured employee’s use of drugs or alcohol if he or she tests positive for marijuana or refuses to take a drug test? Amend its drug-free workplace policy to distinguish the administration of prescription medication from medical marijuana? But more recently, Americans have slowly turned their opposition into acceptance. 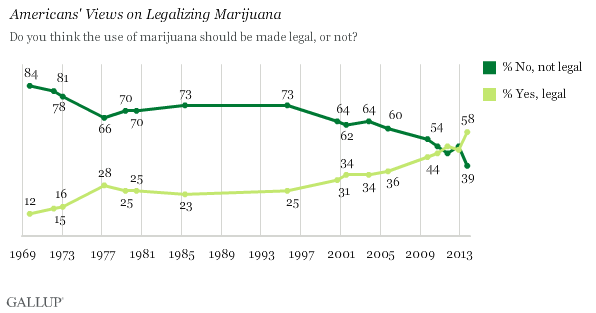 For the first time (in 2011) a majority of Americans polled favored legalization of marijuana and the number continues to grow. Therefore, the real question may no longer be “if” marijuana will be legalized, but “when” and “how.” Anyone who thinks differently, well, must be smoking something. ensure that citizens know the consequences of their choices to use marijuana as they do with alcohol or tobacco use. 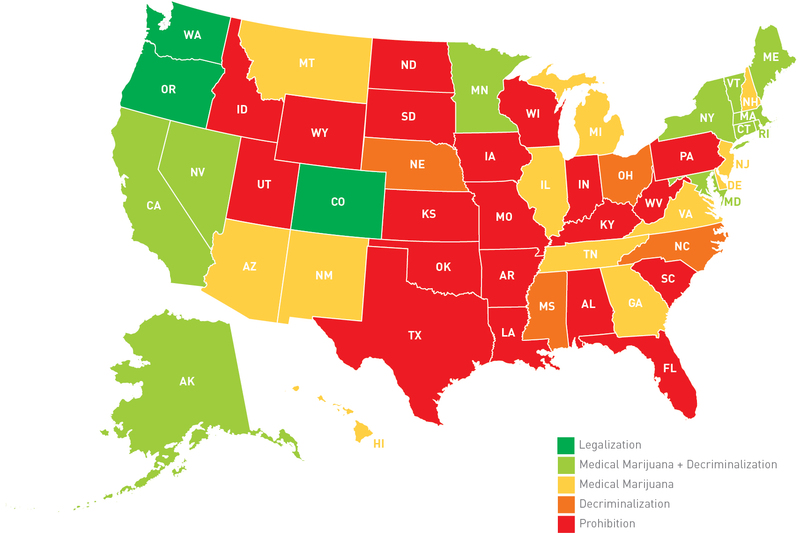 What Is Legal in Other States? While California was the first state in the nation to approve a medical marijuana law in 1996 through its infamous Proposition 215 by 56% of the vote, it has yet to legalize recreational use. Similar state ballot issues to legalize medical marijuana have been supported by as few as 50.13% of the electorate in Arizona to as much as 65% in Nevada. Medical marijuana legislation has experienced similar margins of support in state legislatures. While public sentiment toward legalizing medical and recreational marijuana is literally lighting up, courts in other states have been very firm in supporting employers’ abilities to enforce drug-free workplace policies. Courts in California, Montana, Oregon and Washington have been upholding the right of an employer to terminate an employee who violates the company’s drug policy, even through medical marijuana use that was lawful under the state statute due to its illegal nature under federal law. Therefore, many of these decisions could be turned upside down if legalization happens at the federal level. Regardless of state laws, some employers and professions will remain drug free until federal law changes. Such professions include federal contractors and interstate transportation companies subject to U.S. Department of Transportation drug testing guidelines. Therefore, Arcot 'Thorny' Ramathorn can still put you in jail for possession or use of “reefer” no matter what your state law says you can do. Drug-free workplace policies + higher positive tests = higher turnover = more recruitment in the future. According to a September 2014 analysis by Quest Diagnostics, American workers are increasingly testing positive for drugs. Of the 8.5 million analyses of urine drug tests in the United States, marijuana continues to be the most commonly detected illicit drug, up 1.7% in 2013 from 1.6% in 2012. In comparison, Colorado positive test rates for marijuana were up 20% between 2012 and 2013. Washington positive test rates were up 23% for the same period. One caveat is that, unlike alcohol, there is no test that can determine impairment or whether someone is under the influence of marijuana. Marijuana can remain in the body weeks after the intoxicating effects of the drug have worn off. Drugs affect individuals in different ways, but employers need policies that protect all employees. Therefore, the easiest way to address the issue is a zero-tolerance policy applied uniformly among all employees. As long as marijuana remains an illegal drug under the Controlled Substances Act (CSA), many of the federal laws and courts will continue to uphold employer drug-free workplace policies that apply to all equally. But, the exception to an employer’s drug-free workplace policy in Issue 3 permitting employees to self-administer medical marijuana raises several concerns and questions. For example, no such exception exists under Colorado law. In turn, courts have stated that a positive marijuana test, whether for medical or recreational use, is a legitimate basis to fire and that anti-discrimination laws do not shield a disabled employee from misconduct under an employer policy. While there are many existing workers that use prescription medication to appropriately manage pain, every employee could argue a bad day, week or months of work anxiety is just too much to bear and they need a little something to “take the edge off.” Therefore, every position at work potentially becomes one in which employers will need to argue against the need to smoke marijuana in order to complete normal daily functions. But what if the next president legalizes marijuana and the EEOC decides that medical marijuana use must be accommodated as a treatment for a disability? All employees should be concerned with the potential marijuana legalization because it’s not just about whether they use marijuana, but whether the employee next to them is under the influence. Employers are already hyper-concerned with Occupational Safety + Health Administration (OSHA) and Equal Employment Opportunity Commission (EEOC) regulations and how such agencies will interpret state medical marijuana laws in the future. Employers have a responsibility to protect all employees. Under OSHA’s general duty clause, employers are required to provide their employees with a place of employment that "is free from recognizable hazards that are causing or likely to cause death or serious harm to employees." What if you hire or re-hire a medical marijuana user and they injure themselves or other employees? The Ohio Bureau of Workers’ Compensation requires employee notice of the consequences of a post-injury drug test. It is commonly referred to as a “rebuttable presumption.” Rebuttable presumption means that an employee may dispute or prove untrue the presumption (or belief) that alcohol or a controlled substance not prescribed by the employee’s physician is the proximate cause (main reason) of the work-related injury. In fact, the burden of proof is on the employee to prove that the presence of alcohol or a controlled substance was not the proximate cause of the work-related injury. An employee who tests positive or refuses to submit to chemical testing may be disqualified for compensation and benefits under the Workers’ Compensation Act. In Ohio, a positive drug test allows an employer to discipline or terminate a worker for violating the company drug policy, even if the employee files for and obtains compensation for a workplace injury. The existing state statute may be challenged if Issue 3 passes due to its requirement that employers permit a patient with a medical marijuana certification to self-administer the medical marijuana subject to the same conditions applied to administration of prescribed medications while at work. The Michigan State Court of Appeals ruled in October 2014 that, under the Michigan Medical Marihuana Act (MMMA), an employee terminated may collect unemployment benefits if he/she is fired solely for a positive marijuana test. The Court determined that the MMMA preempts the Michigan UI law and disqualifying an eligible claimant for UI benefits due to a positive medical marijuana drug test represents a “penalty” under the MMMA. The Court rejected the contention that, in upholding an award of UI benefits, the court would have to disregard the law’s provision that employers are not required to accommodate the use of marijuana in the workplace. Instead, the Court concluded that only the ingestion of marijuana in the workplace or working while under the influence need not be accommodated. The Michigan Chamber Litigation Center filed an amicus brief (friend-of-the-court) challenging the Court’s decision because it puts employers in a no-win situation: either accommodate medical marijuana users and jeopardize workplace safety or discharge those employees and pay UI benefits (which equates to higher UI taxes). Ohio employers may be faced with the same dilemma if state courts rule similarly in future cases where the issue is certain to arise. Courts have repeatedly thrown out employee cases fighting termination due to lawful off-duty conduct that an employer considers misconduct. 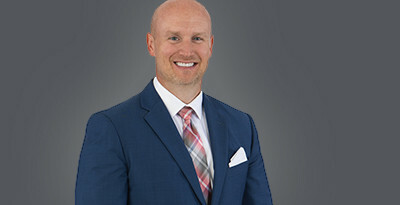 Cases include allegations of violating an employee’s freedom of expression outside of work or on social media, invasion of privacy and ERISA rights. In addition, courts have upheld an employer’s decision not to hire/continue to employ an individual who tests positive for using a legal substance, such as nicotine. Other good news is that Ohio does not have an “off-duty conduct” statute like Colorado and New York that would prohibit employers from disciplining or terminating employees for doing legal things (i.e. using nicotine or alcohol) on their own time, even if the employer objects to the legal activity. But, Ohio’s public policy is very broad. Several circuit courts have held that statutes legalizing marijuana use do not affect private employment. Regardless, if Issue 3 passes, some claimants disciplined or terminated for using medical or recreational marijuana could argue that such activity is against public policy. In states that have “legalized marijuana” individuals and entities concerned about violating federal law, such as attorneys, CPAs, banks, insurance companies, investors and others, are reluctant to provide legal and accounting advice, capital investment or other professional services to help marijuana companies comply with existing laws and literally grow their businesses. On the other hand, individuals using marijuana risk losing their job, parental rights and governmental benefits like workers’ or unemployment compensation, as well as increasing their health care costs if their use is discovered. Individuals need to understand that, regardless of whether marijuana is legalized in Ohio, they will have restrictions on use and there may be employment consequences. Courts don’t reward sloppy employers. Audit your workplace policies or have someone do it for your company. Make sure you use our Drug + Alcohol Policy checklist as a guidepost. Regardless of whether Issue 3 ever becomes law, employers should feel confident that they can discipline or terminate employees who smoke medical or recreational marijuana if: (1) they are impaired or hung over at work; or (2) it is in their system while they are at work (i.e. they fail a drug test). While Issue 3 will create uncertainty in how bulletproof your workplace policies are, you still have time to give your opinion. Polls are open until 7 p.m. on November 3, 2015, but early voting began on October 6. Educate yourself on the issues and make your voice heard this election. Want more from Tony? Hit subscribe to receive them in your inbox.